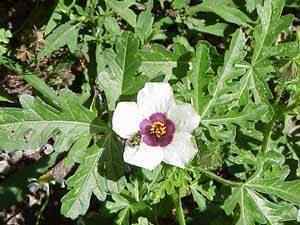 Description: From 12 to 24 inches tall, Leaves deeply 3 parted, coarsely toothed. 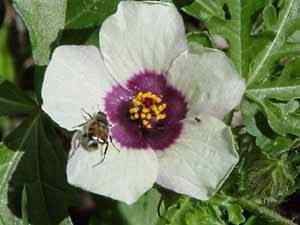 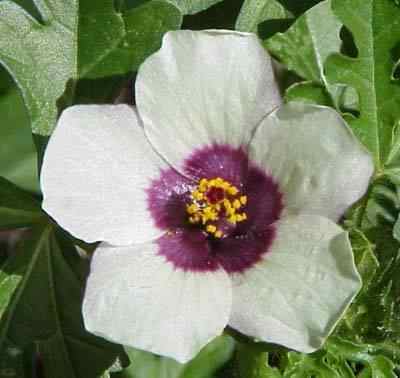 Flower has deep purple eye in a pale yellow flower that opens for about an hour, usually around 10 am. 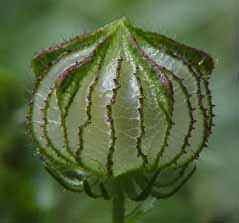 Flower wilts quickly to form an inflated calyx that is bladder like or resembles chinese lanterns. 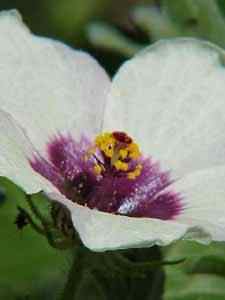 Location: Waste grounds and roadsides.